In 2002, in conjunction with the Gay Games in Sydney, a follow-up conference (after the Amsterdam conference, 1998) was organized under the title "Workers Out!". Unfortunately, the web site for this conference has been dismantled. Read here the information about the workshops and panels. is speaking as national representative for the Communications Energy and Paperworkers Union of Canada. She is the first Solidarity and Pride vice-president of the Canadian Labour Congress (CLC) representing LGBT workers and is union organiser and labour educator. She is active within her community as well as the labour movement and believes that building lasting coalitions is essential in order to advance issues of equity for workers. She believes strongly in her convictions of ensuring that space is made within labour to hear all the voices of our members, which is evident not only in the work she does, but the relationships she builds with all equity seeking groups. is the president of Australia's peak body for unions, the Australian Council of Trade Trade Union (ACTU). The ACTU represents two million workers and is based in Melbourne. The ACTU is a sponsor of Workers Out! as Sharan has been a long time supporter of lesbian and gay rights. he was an official with the Australian Education Union before taking up her current position. became president of the National Association of Teachers in Further and Higher Education (NATFHE) in June 2002 after being vice-president 2001 - 2002. He lives in Manchester where he teaches Law at a College for Further Education. He is the first openly gay man to become president of NATFHE and at age 34, is its youngest president, and may also be the youngest ever president of the teaching unions in the UK. Gerard joined NATFHE's National Executive in 1997 holding various positions including Chair of the Equal Opportunities Advisory Council and Vice-chair if Finance, Membership and Organisation Committee. He has also been a regional secretary and regional chair. He is deeply committed to equality as the bedrock of trade unionism. He was a key speaker at the first Disability Rights Commission annual conference in the UK and will also be addressing the next one. He is founder elected member to the TUC Lesbian and Gay Committee, and has attended all TUC Lesbian, Gay, Bisexual and Transgendered conferences. Unfortunately, Gerard Kelly died a few years later (August 2008). is a human resources administrator and has a Master's degree in industrial psychology. He has worked for 28 years in the Patronato Nacional de la Infancia (PANI) and is president of the lesbian and gay organisation 5 de Abril (1999 - 2002). 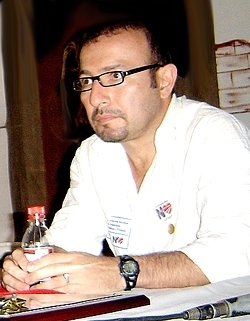 He is also member of the Consejo Consultivo de la Asociación Nacional de Empleados Públicos y Privados ANEP (1995), and president of the ANEP-PAMNI section. He is a founding member and during 2000 - 2001, assessor with the Network of Non-Governmental Organisations Working in HIV/AIDS in Costa Rica. Unfortunately, Juan Carlos Paniagua Soto died a few years later (April, 2009). is the author of My Dangerous Desires: A Queer Girl Dreaming Her Way Home (published in 2000). Amber Hollibaugh founded the Lesbian AIDS Project at Gay Men's Health Crisis in New York. She has worked with the United Nations and other international organisations on human rights issues and HIV/AIDS education and is currently director of education, advocacy and communications with Senior Action in a Gay Environment (SAGE) in New York. A fierce and fearless analyst of her own political development, she is interested in relationships between activism, desire and class. is legal industrial officer with Australia's National Tertiary Education Union and has over 15 years trade union experience in Australian and New Zealand (service workers, nurses, early childhood and primary teacher and now higher education) unions. Member of Queer Unionists in Tertiary Education (QUTE), NTUE. is a former teacher, now secretary-general of Education International (EI) whose 25 million members represent all sectors of education, from pre-school to university. This encompasses 211 national trade unions and associations in 159 countries and territories. 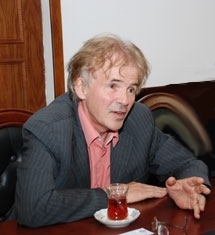 He is a member of the Executive Board of the International Confederation of Free Tree Unions (ICFTU), vice-president of Oxfam Netherlands and lives in the Netherlands. is a Winship Distinguished Researcher at Emory University in the US. She is author of Fatal Advice (1996) and Inventing AIDS (1990). Her latest book, Globalizing AIDS, examines the complex interaction between modern science, media coverage, and local activism during the first decade of the epidemic. A former journalist, Patton had focused most of her scholarly work on the development and impact of social movements. She was recently named Emory's first lesbian/gay studies faculty member. is the equality officer for the International Confederation of Free Trade Unions(ICFTU). is a lifetime justice activist who has marched, organised, and been arrested for civil, human and workers' rights. Nancy was elected vice-president of the Office and Professional Employees Union Local 3 in 1083, and has negotiated sexual orientation non-discrimination clauses into all of the local's collective bargaining agreements (which now include gender identity). She is currently business manager/secretary treasurer for OPEIU Local 3. 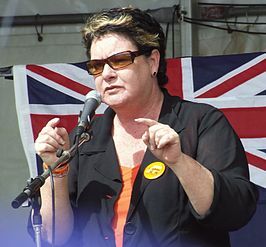 A founding member of Pride at Work, AFL-CIO (the lesbian, gay, bisexual, transgender constituency of the group) Nancy is the organisation;s national co-president. In 1996, Nancy was elected to both the executive board of the San Francisco Labor Council and as a vice-president of the Californian State Federation of Labor, the first open lesbian ever elected, and she continues to serve on both bodies. Nancy is extremely active in the movement to stop war and to defend civil liberties. She has been with her partner Denice for 20 years. You can get an impression of the conference by reading an interview in the Gully. The conference accepted a closing resolution and motion. One of the initiatives launched during the Sydney conference in 2006 was the idea of setting up a world-wide Forum on LGBT trade union policies by the umbrella organisation for teachers' unions, Education International. As a result of this initiative, in 2004, the first meeting of the LGBT Forum took place, as a combined initiative of both Education International and Public Services International, in Porto Alegre, Brazil. It was one of the fringe meetings of the World Congress of Education International.